Welcome to our Newcastle United Away Kit shop. 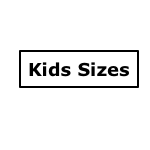 We are your number one place for all the current and previous shirts, shorts and socks in both adults and kids sizes. Every year the design is updated, so stay on trend with the latest official clothing for your beloved soccer team from the United Kingdom. Order the Official Newcastle Away Jersey Today! Here you will find all of the shirts, shorts and socks from a range of seasons as well as the most recent. We stock a wide variety as we strive to ensure that our customers can have a selection of choice when shopping with us. You should also check back here regularly as we are certain to reduce our older season’s stock to provide our customers with some amazing bargains. 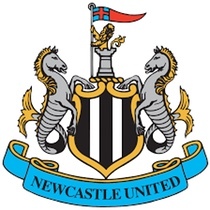 In 2010 Newcastle United signed a contract with Puma, for them to make their playing kit, training gear and accessories for a number of years. And recently, they have extended this contract which will see them into the next decade. At Soccer Box, we have received our entire NUFC stock straight from Puma. Therefore we can assure you that you are purchasing the official Newcastle United away clothing items for the current season and previous ones. Despite Puma being the team’s current manufacturer, they have worked with a variety of sportswear brands over the year. Their longest contract so far was with Adidas, however after the agreed extension with Puma, they will be closely becoming the longest. In date order, below are the main brands NUFC have worked with. From 1914 to 1961 the club wore a monochrome colour scheme for their away strip and as of 1966 they then went all white. However, since then the schemes have changed every season to a completely different look. For example, 2016/17 saw a black and orange design, and 2017/18 has a blue and back style. Due to the fact the designs change every season, this is what makes the release date highly anticipated by all supporters as they can’t wait to see what they come up with next. Why Choose Soccer Box for NUFC Away Clothing? Soccer Box is your place to shop for all your football clothing needs, as we only stock 100% authentic sportswear and accessories you will never be disappointed! You can also complete your order online or give us a call if you have and questions. With a collection service and speedy international delivery, your order is sure to reach you in a matter of days. Inspired by the design of the signature home strip, be sure to take a look at the Newcaslte United training kit and fill your basket with all of your favourite team’s gear now and checkout using our secure online shopping system.